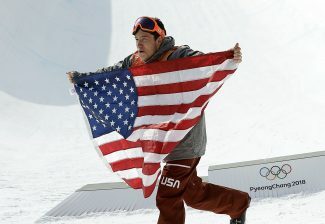 Eagle resident Jake Pates skis out of the halfpipe March 2 at the Burton U.S. Open Snowboarding Championships in Vail. Pates was officially nominated to the U.S. Pro Halfpipe Team for the second consecutive season in March of 2017. Heading in to the prestigious Dew Tour 2017 contest in December, Jake Pates said he had been working on a couple new tricks, but didn’t want to reveal what they were. The 19-year-old grew up snowboarding at Vail and Beaver Creek, and skateboarding at a board shop his family owned in Eagle, Colorado, where he lives. Pates chased his older brother, freeskier Cole Pates, around the mountain and became a talented snowboarder at a young age. He turned pro at 15 years old and begin moving up the ranks from there. He had some standout performances along the way, qualified high at times but hadn’t established himself as a competitor who could win a gold medal. Coming into the 2017-18 Olympic year, however, Jake Pates seemed motivated. 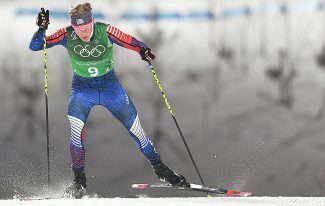 Following the first Olympic qualifier, he mentioned how he was mainly competing against the other Americans at that point. It was obvious he wanted a spot on the Olympic team. But he didn’t make finals in that contest, which featured the top athletes from all over the world, not just the U.S. 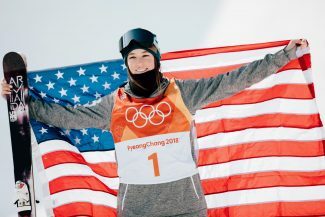 Meanwhile, the U.S. alone has enough talented halfpipe snowboarders to fill a 10-man final. Making the podium in an Olympic qualifier is what the team deemed to be the “minimum objective criteria” to be considered. 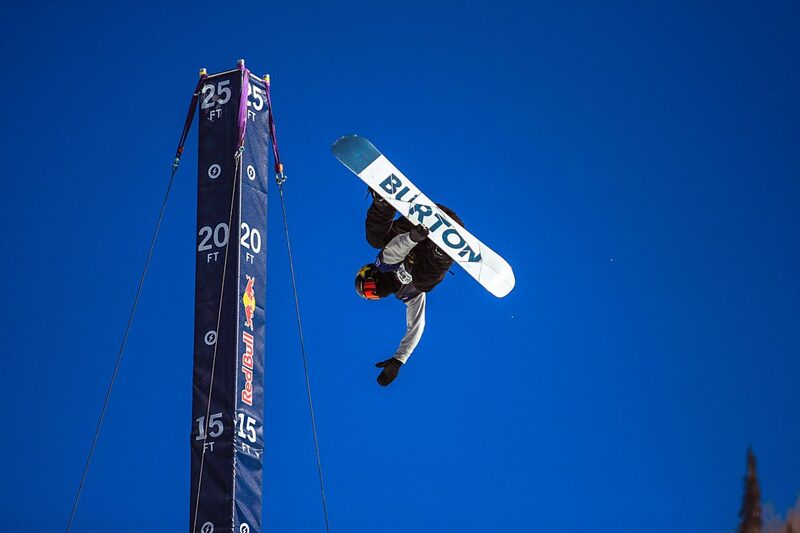 The season began with nearly a dozen talented snowboarders vying for four spots. Three of those spots will be chosen objectively, and maybe even the fourth. Or that fourth spot could be a subjective-style nomination to the Olympic team for a competitor who the coaches feel has a shot at the podium in Pyeongchang. Going into the 2017 Dew Tour, the second of four qualifiers, Jake Pates was not thought to be one of those competitors, with no major podiums to his credit. 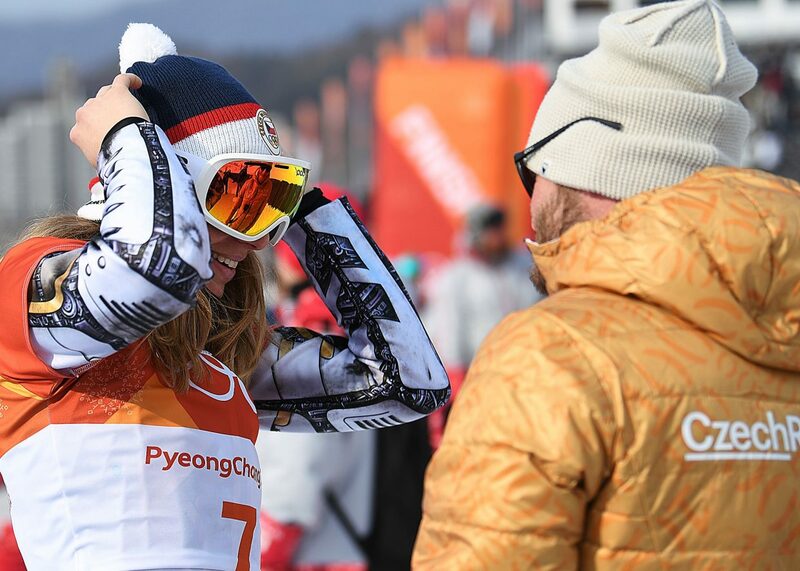 But at the first event of the season at Copper, when Jake Pates mentioned his competition, he also mentioned something else. When pressed, he would not reveal the tricks. “I might keep it on the D.L.,” he said. Eight days later Jake Pates was on top of the podium at the Dew Tour after landing a never-before-seen trick in front of the same field we will see at the Olympics. Jake Pates became the first and only American to notch a win in an Olympic qualifier. The Dew Tour’s replay is a fun one to watch; it sums up perfectly Pates’ role in the sport before and after landing his new trick. Announcers don’t give the run much of a color commentary; during the first four tricks (double Michalchuk 900, doublecork 1080, cab doublecork 1080, backside 900) commentator Todd Harris talks to co-host Todd Richards about how competitors who live near the venue get an advantage due to altitude. They don’t even bother calling the tricks. Then Jake Pates lands his fifth and final trick, and Richards realizes it’s something special. “Wow, Jake Pates ending that run with a truly difficult grab, I’ve never seen anyone put that down. Double McTwist 1260 Tail Grab,” Richards says. 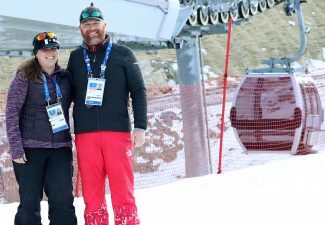 Jake Pates credits his parents – Eagle’s Chris and Amy Pates – with much of his success, as they had always supported him in his goal of becoming a professional snowboarder. While the sport has its fair share of danger, Jakes Pates is quick to admit he’s really in it for one reason: the fun.